Full of vibrant flavors our Tacos Campechanos are not ones to miss! Try some of the best eats of Mexico – Guerrero style! This Mexican traditional dish is irresistible to all! 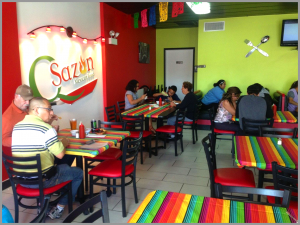 Qsazon is a traditional mexican restaurant in the Ashburn neighboorhood, Chicago IL. We offer everything from tacos, burritos, tortas, mole and more. Dine in or take out is available at Qsazon.